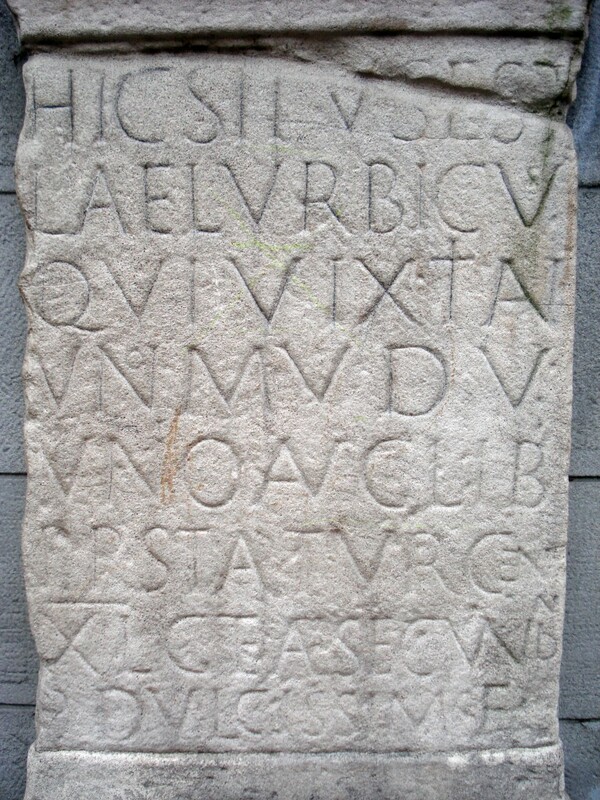 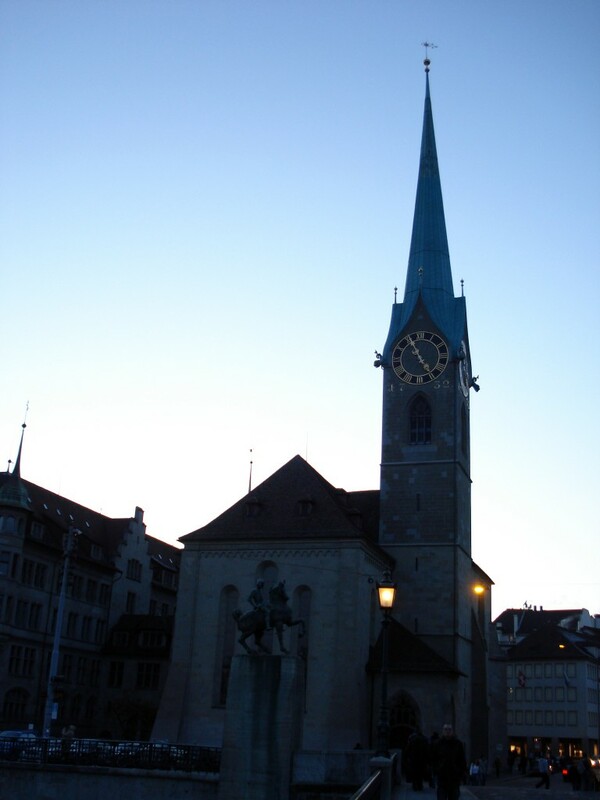 St. Peter is one of the four main churches of old Zurich, besides Grossmünster, Fraumünster and Predigerkirche. 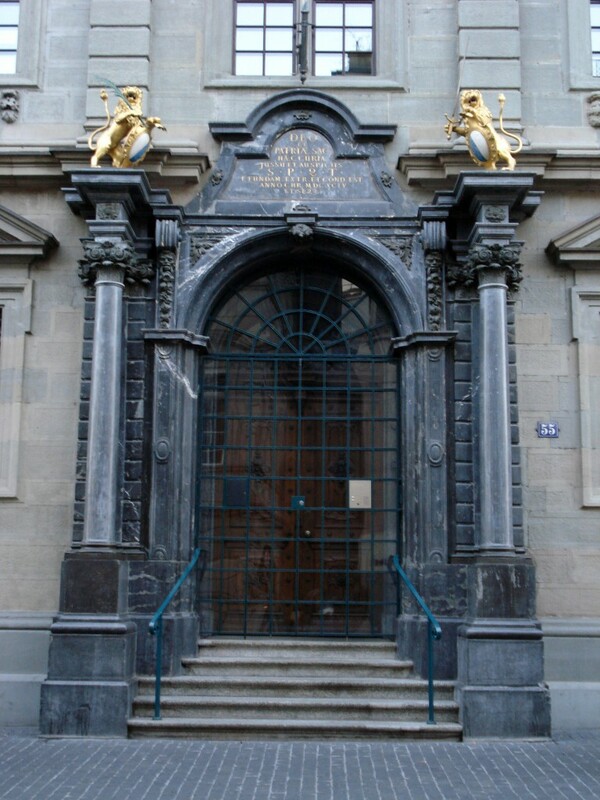 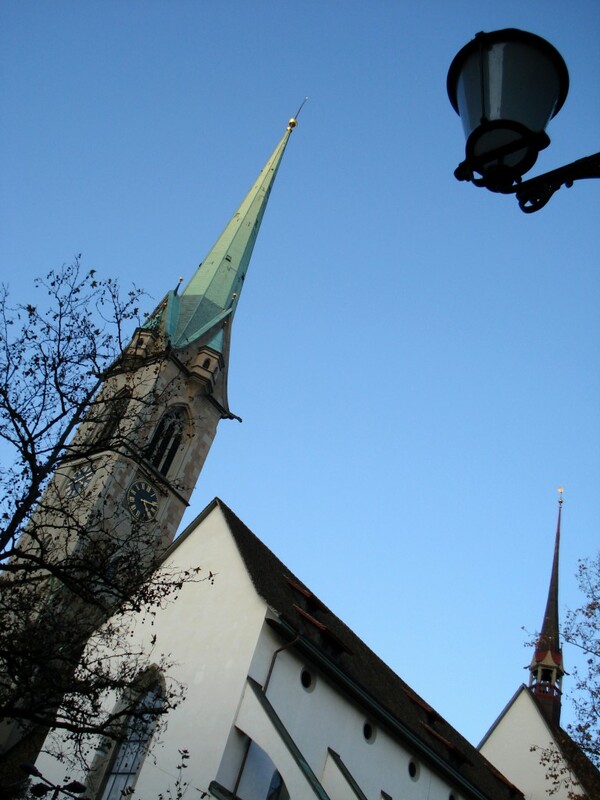 The current building was consecrated in 1706 as the first church built under Protestant rule. 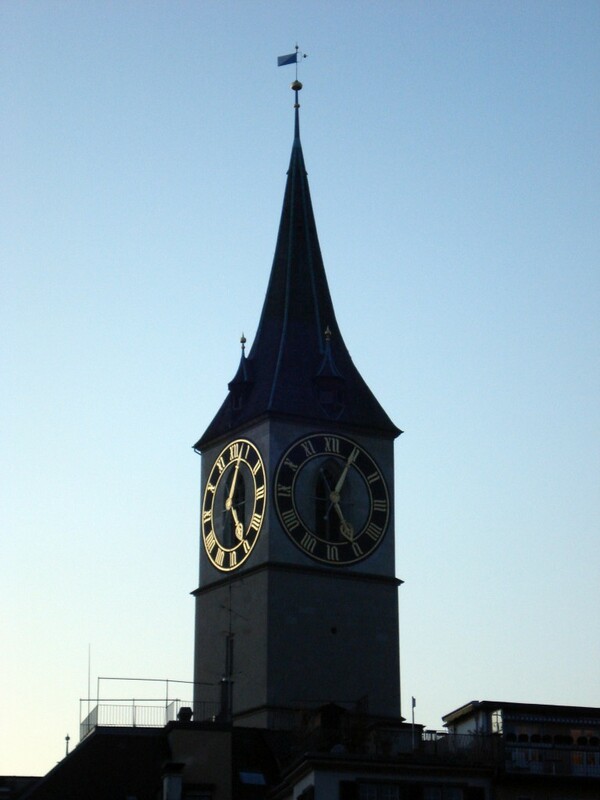 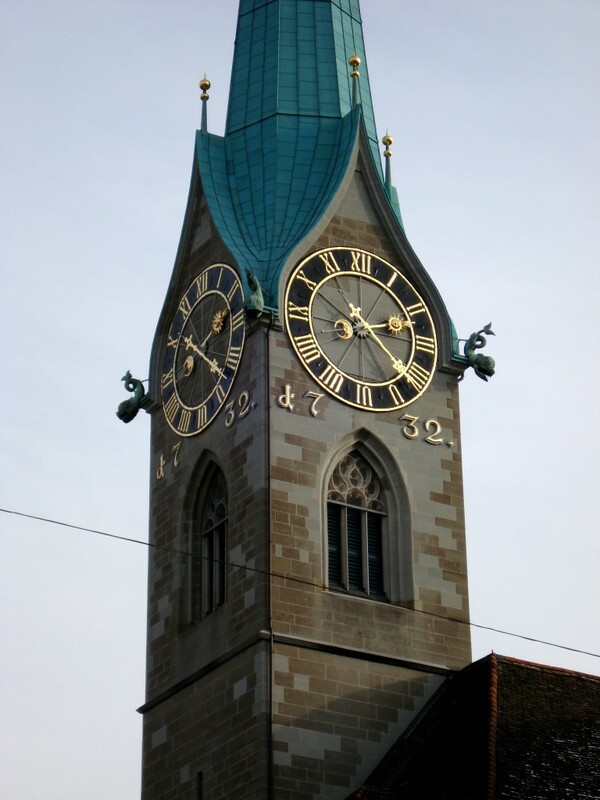 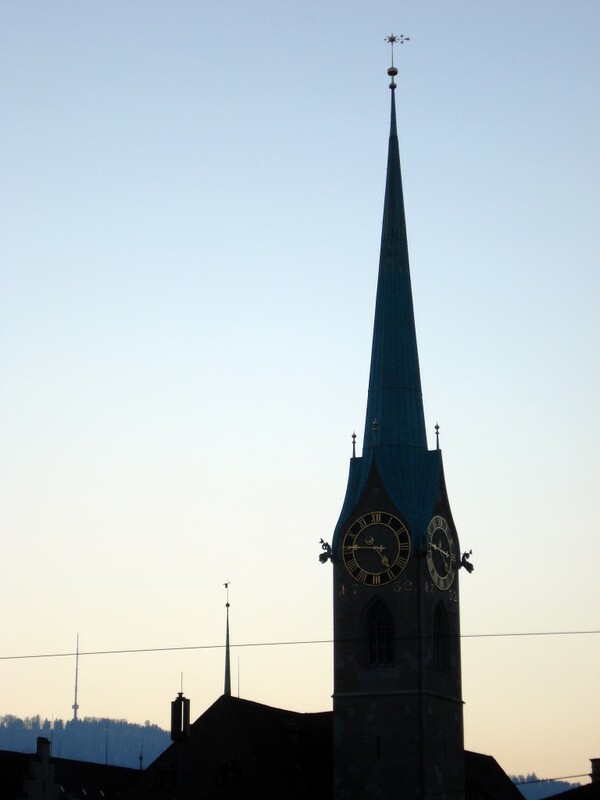 The bells date back to 1880, and the steeple’s clock face has a diameter of 8.7m, the largest in Europe. 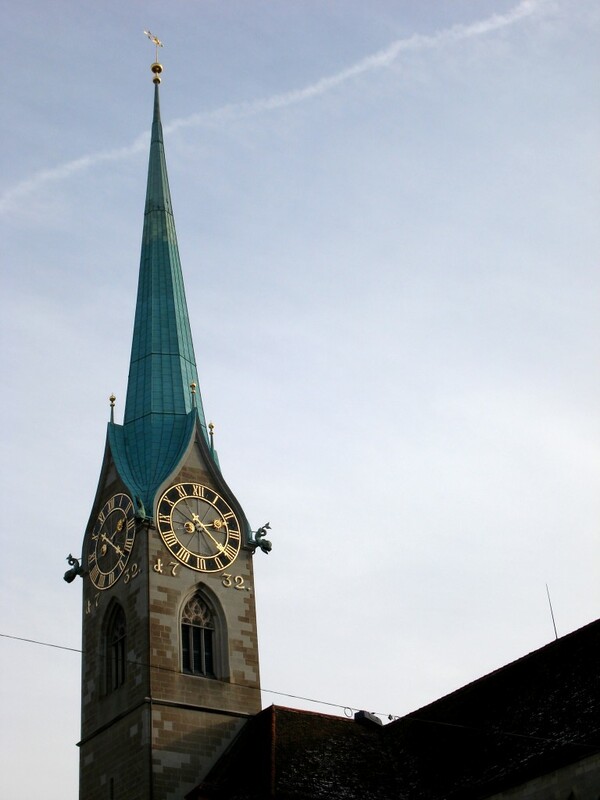 The Fraumünster abbey of Zurich was founded in 853 by Louis the German for his daughter Hildegard. 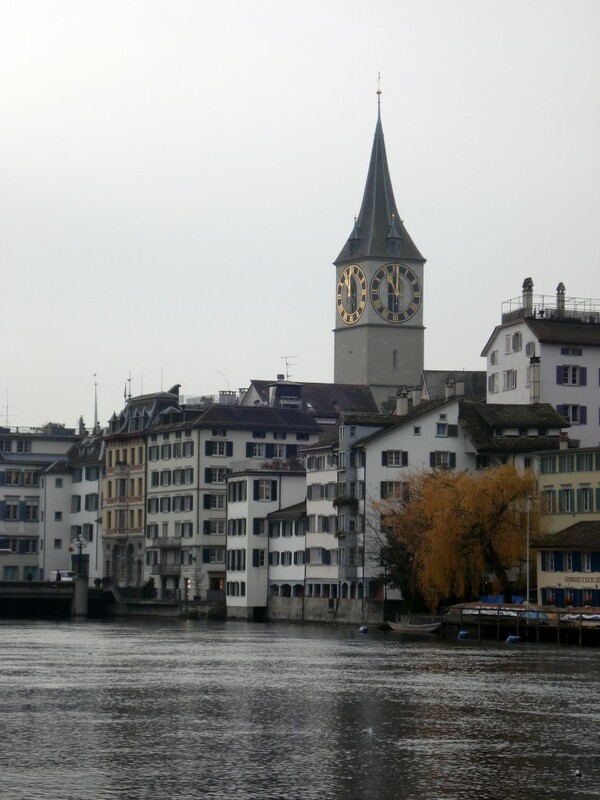 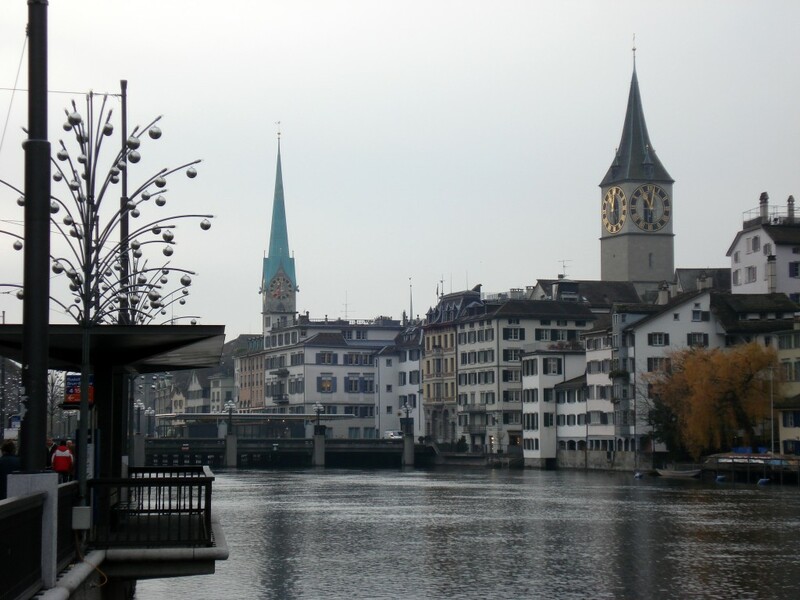 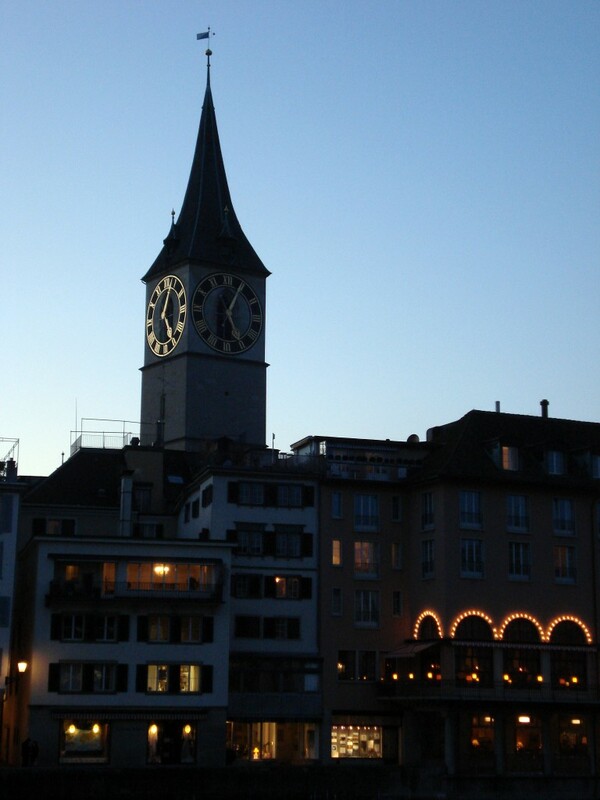 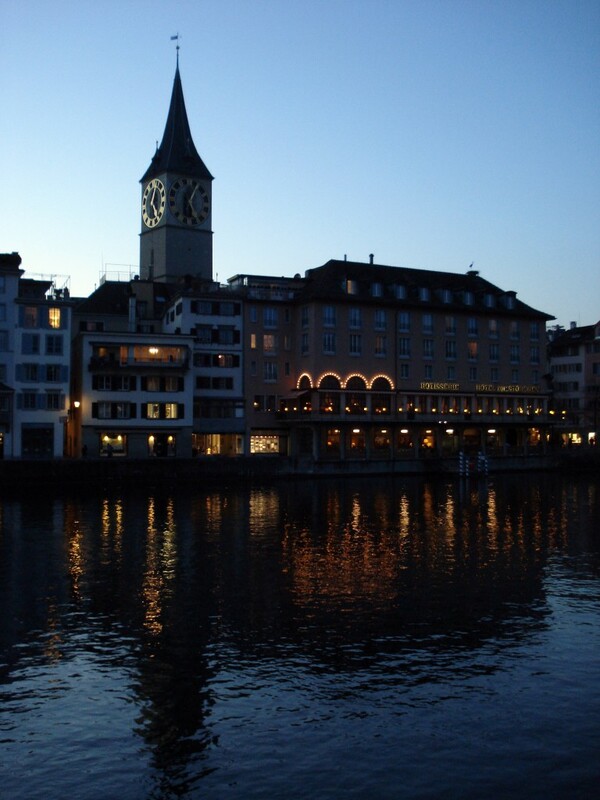 Zurich is the largest city in Switzerland. 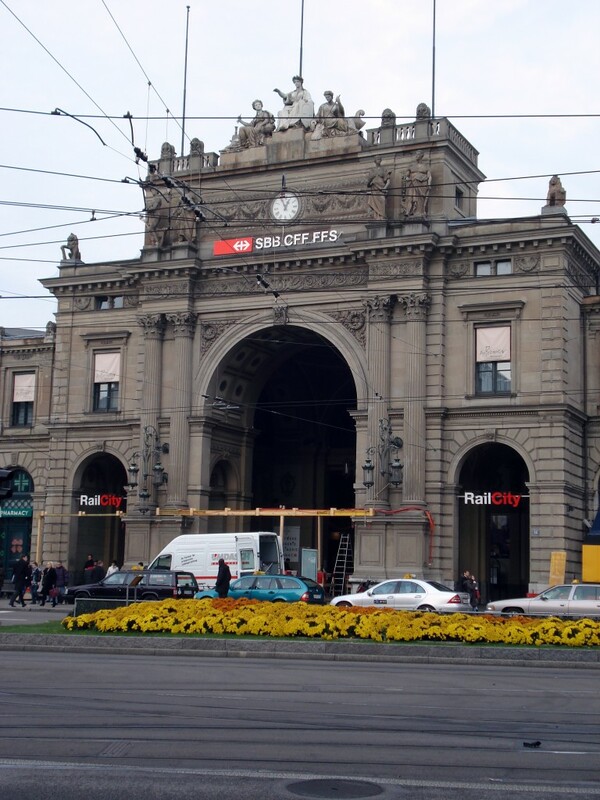 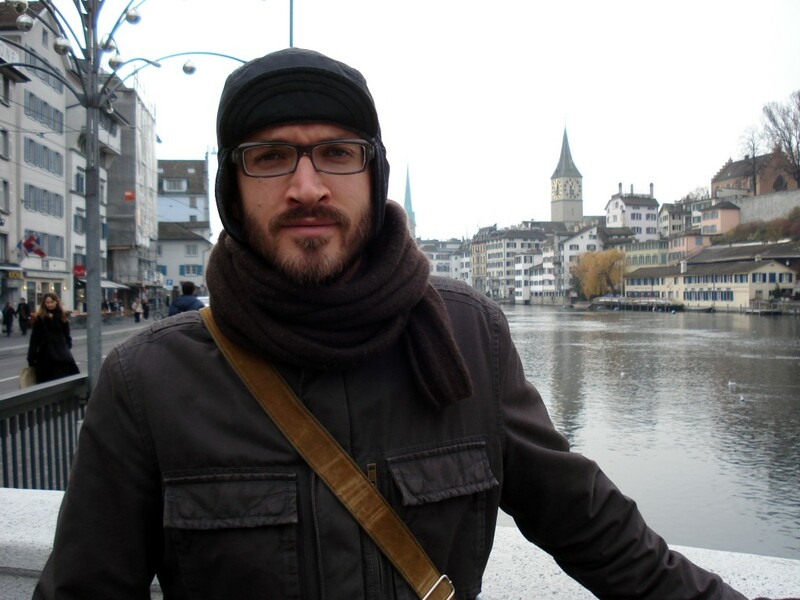 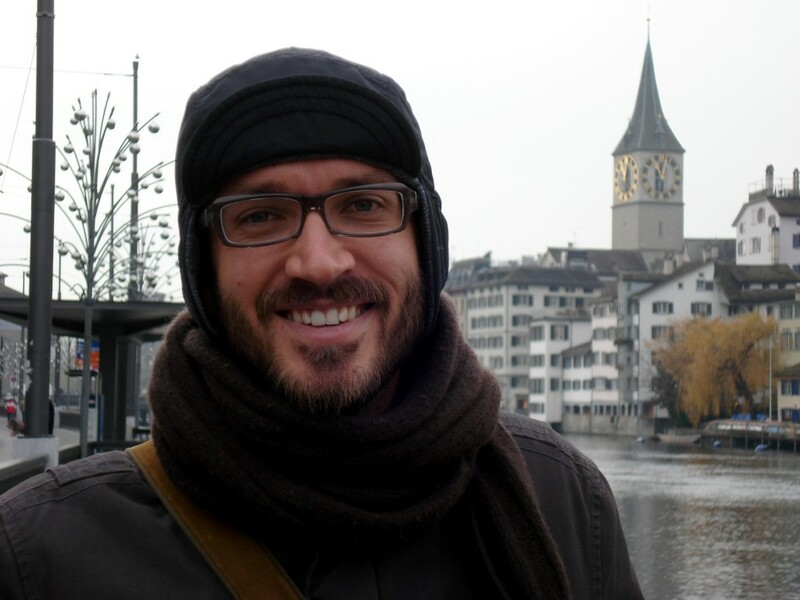 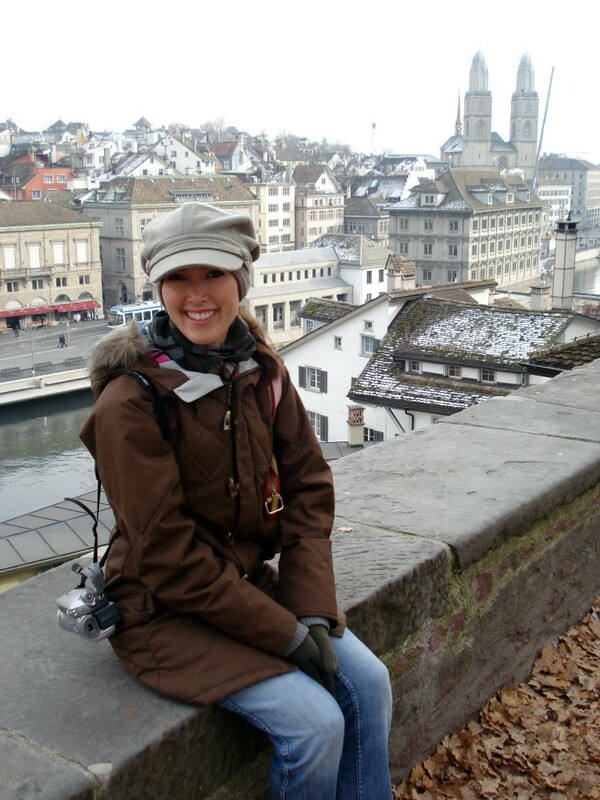 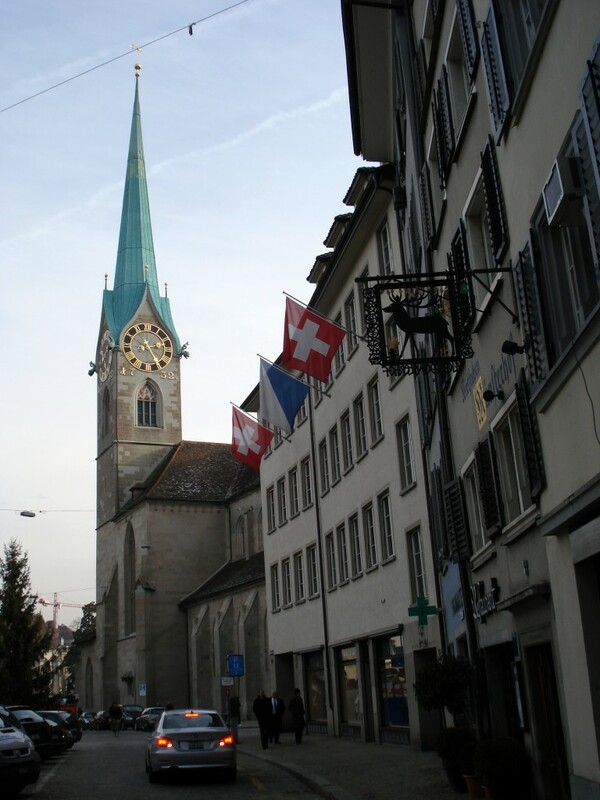 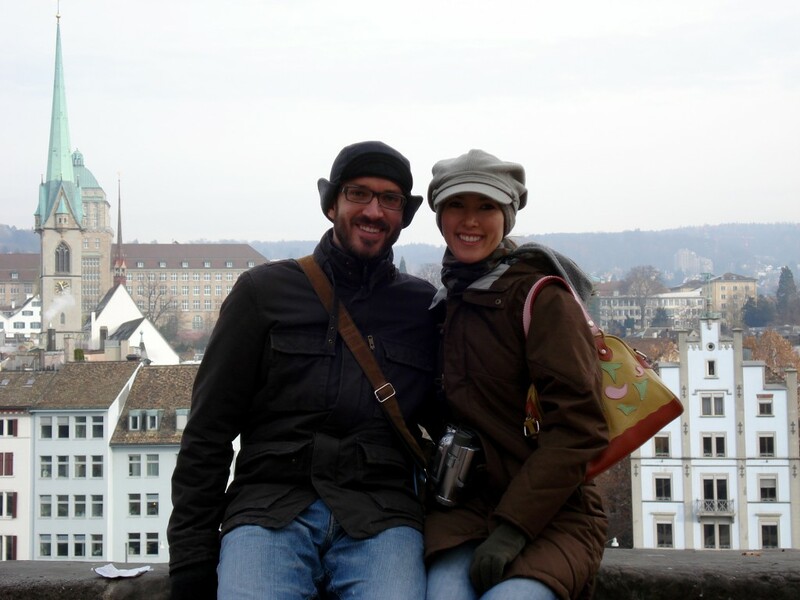 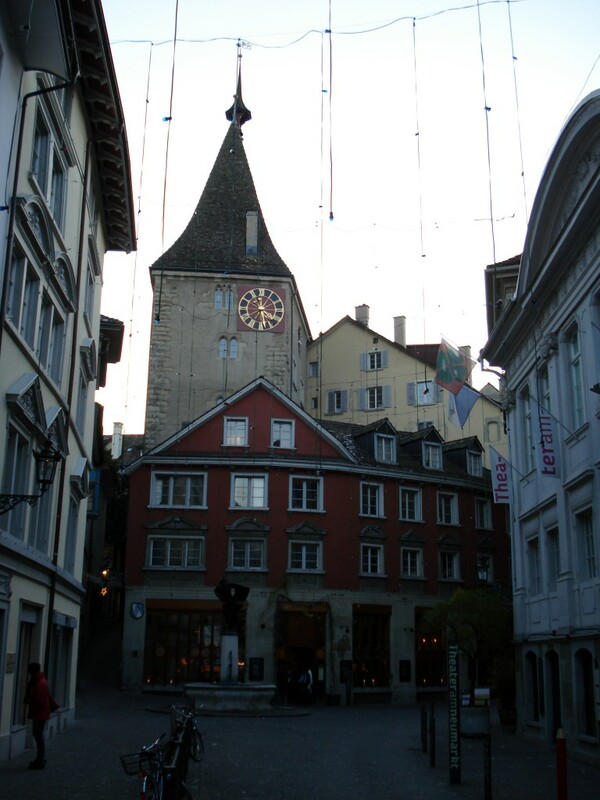 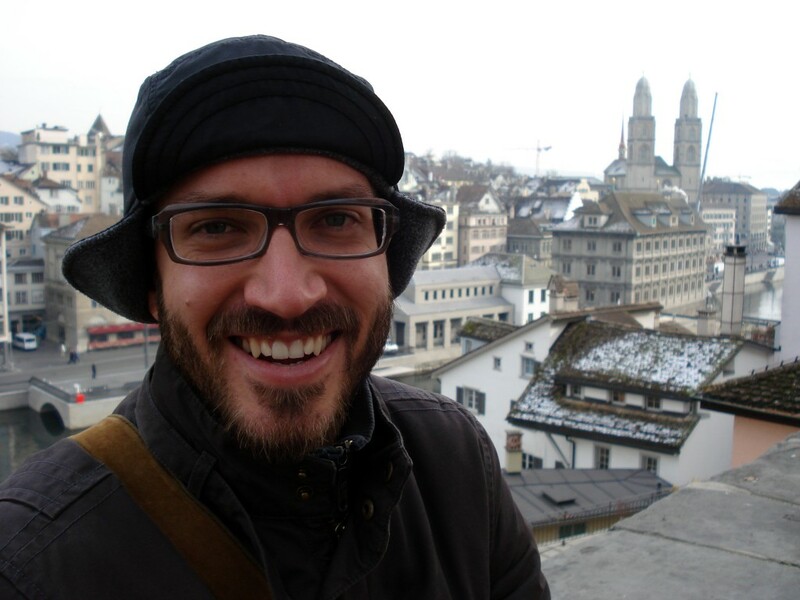 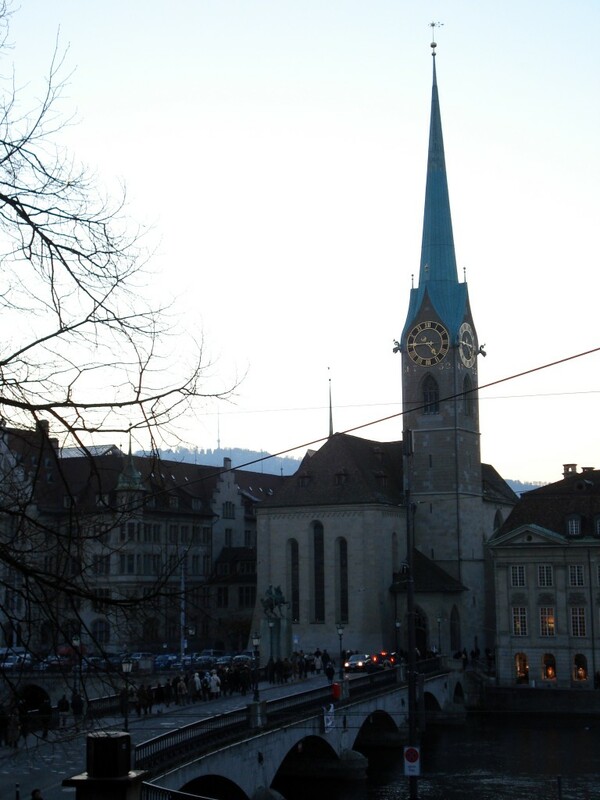 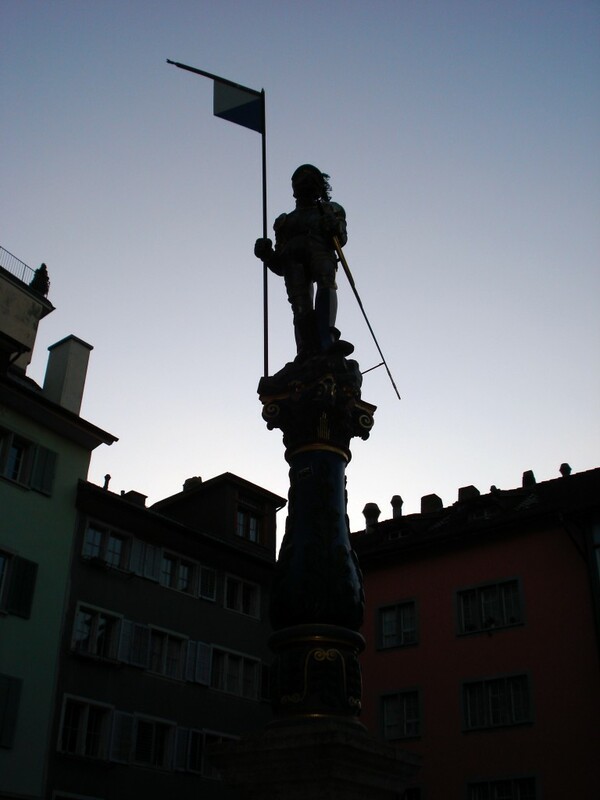 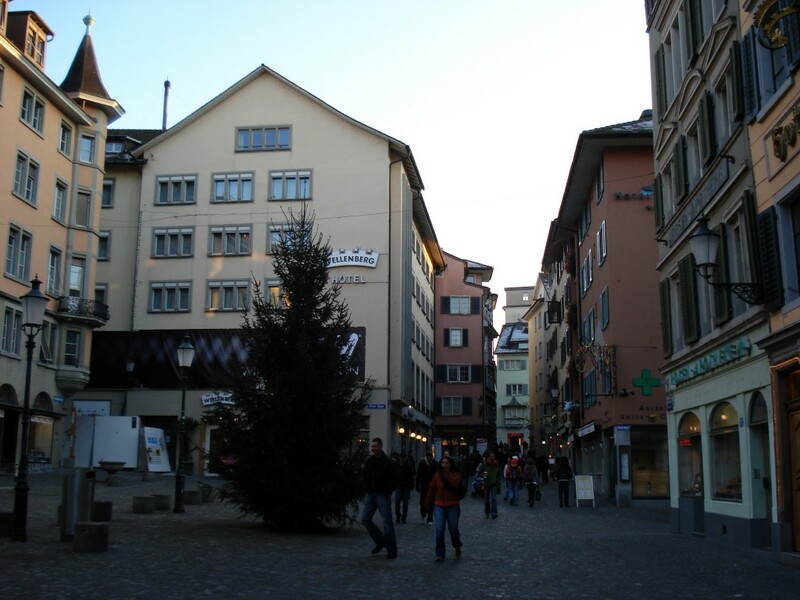 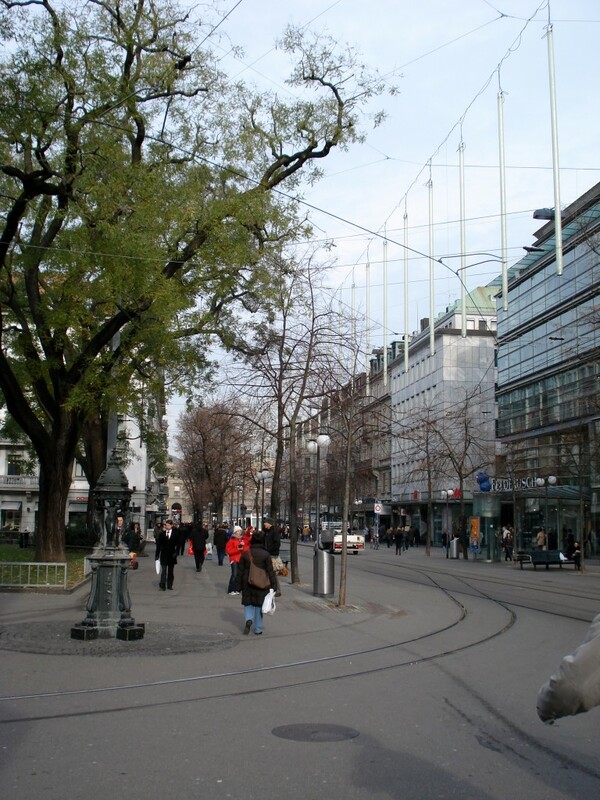 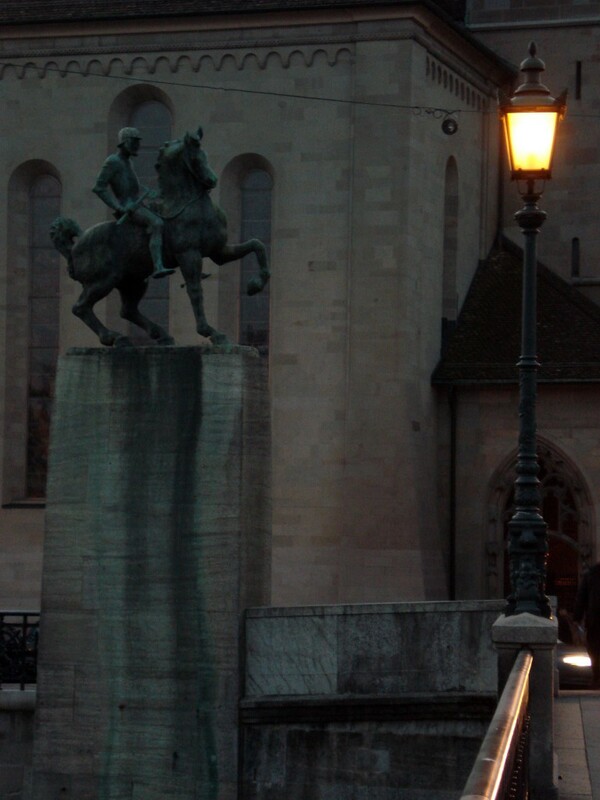 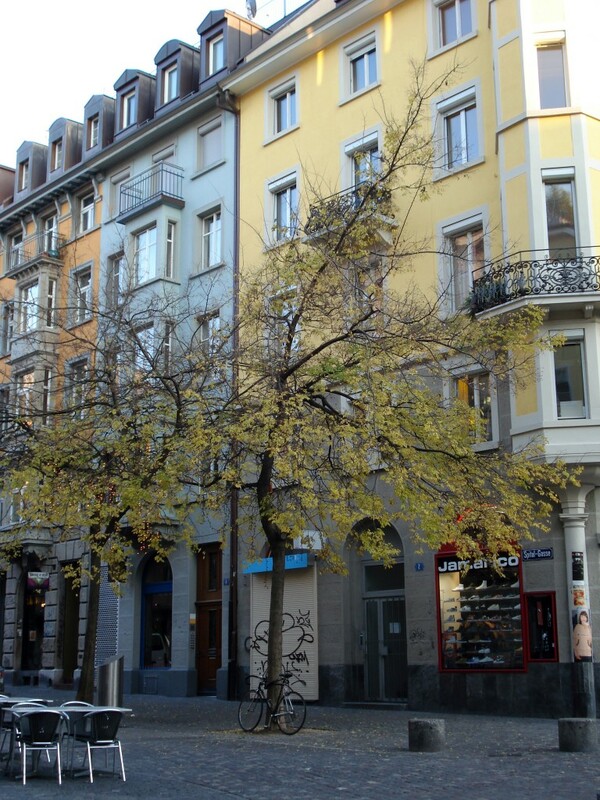 It is Switzerland’s main commercial and cultural centre (the political capital of Switzerland being Bern). 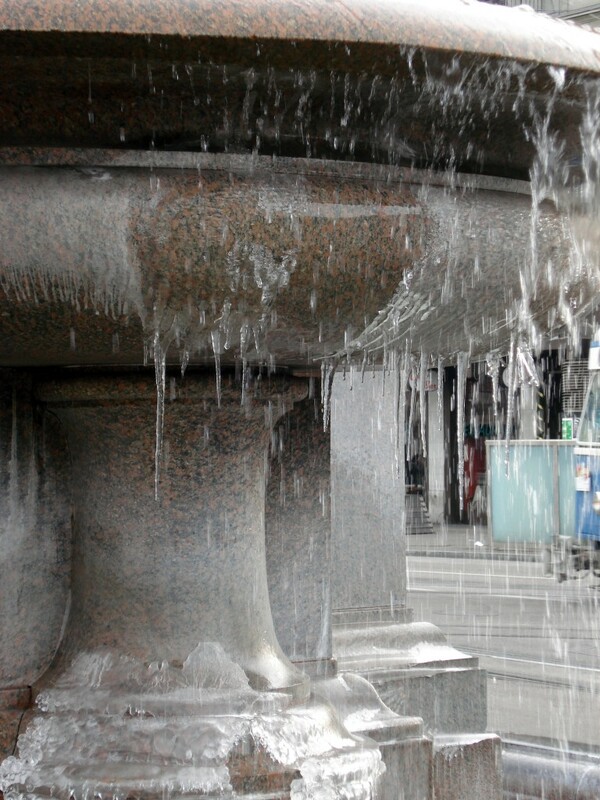 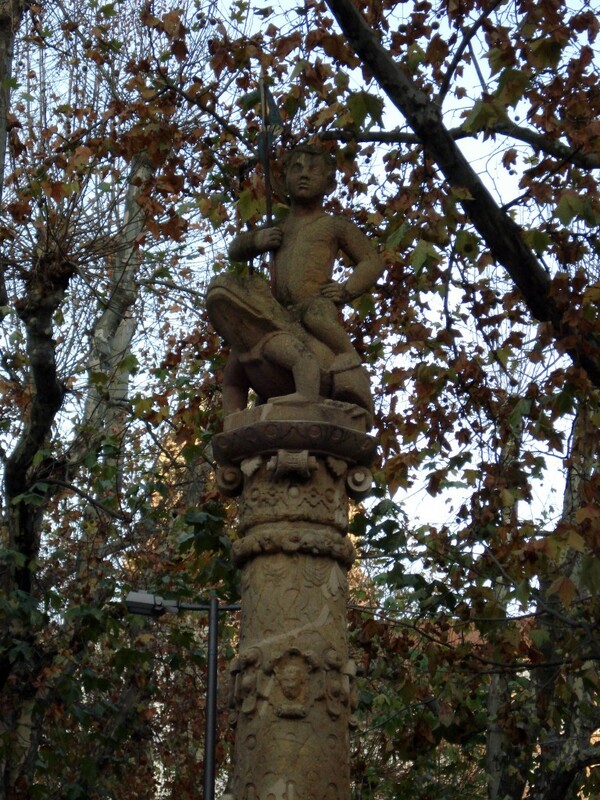 Here are some photos from around town.